We're excited to be attending and exhibiting at World of Coffee in Amsterdam. There are so many exciting facets to this show... from the Roaster Village to the Sustainability Forum to the Lectures and more, World of Coffee offers guests a unique opportunity to expand their coffee knowledge and better the industry. Be sure to stop by and see us at booth #A31! Now there’s a brewer that thinks for you, making perfectly hot, totally fresh and delicious coffee with the push of a button. One that lets you monitor freshness at a glance — without a second thought. An innovation combining exceptional brains and uncommon beauty. Meet GemX at our booth in Amsterdam. 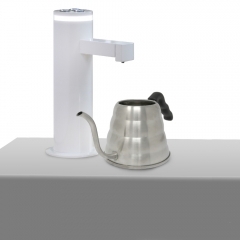 Designed with a minimal countertop footprint and a powerful internal pre-heat exchanger coil that ensures consistent water temperatures with no lag time. 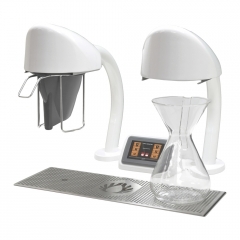 The Curtis Seraphim puts the “theatre” in single cup service. 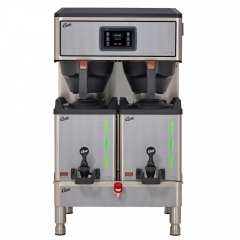 Its striking design and sleek appearance creates customer interest, while its advanced G4 digital controls help emulate hand brewing, allowing you to create the perfect cup… every time.